This D.S. 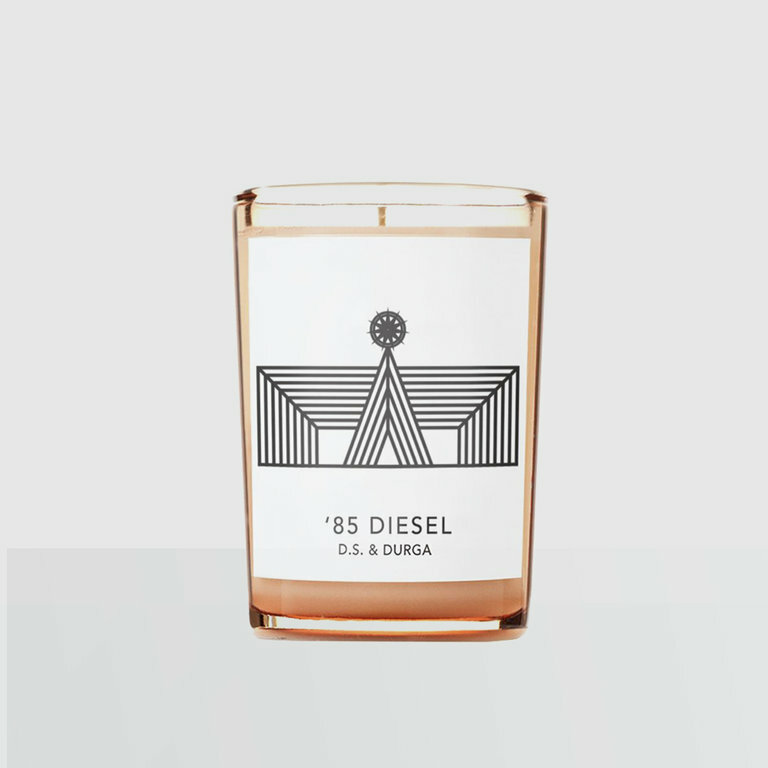 & Durga candle strongly imagines "Saffron tanned leather seats, in clothes that look like rugs, singing we must never break the chain." Notes of saffron leather, white smoke, suede, dirt, vinyl, castoreum, and galbanum resin.